Fun, Fun, Fun! Do your kids go home saying that about any trip? They will here! With 11 campground Fun Zones, kids will always find another great adventure. From a refreshing dip in a good old fashioned swimming hole, a dizzying trip down the spiral slide, to a relaxing game of giant checkers, kids will stay busy and parents stay refreshed. 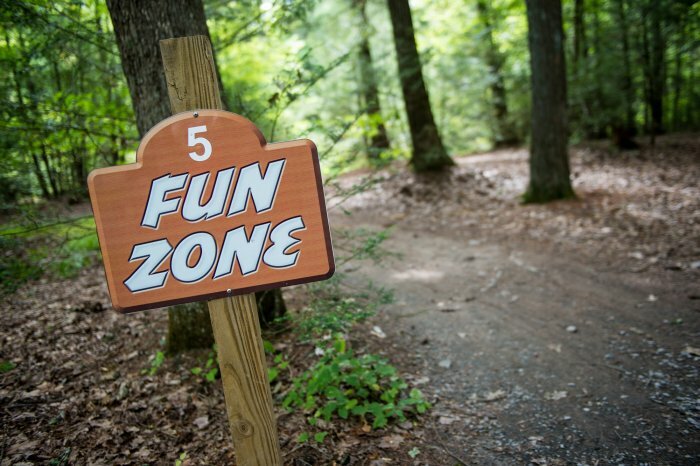 Each Fun Zone at Rip Van Winkle Campgrounds is prominently marked with a easily identifiable Fun Zone sign.